This ad will appear in the July 2015 Sailing World and Cruising World magazines. 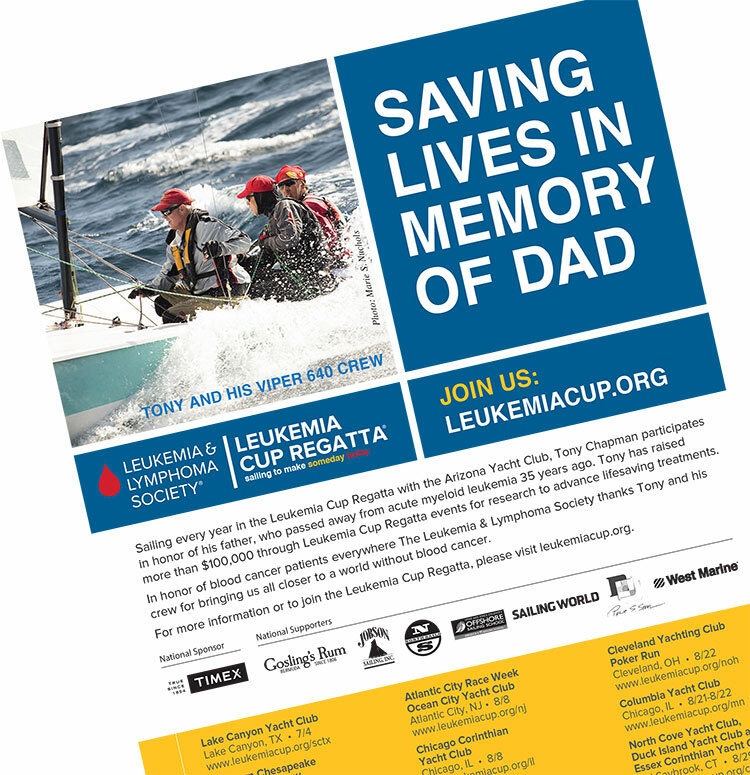 In July, when you open your Sailing World or Cruising World magazine, you’ll see our Tony Chapman in an ad for the Leukemia Cup Regattas, noting the good they do to raise money to fight blood cancers for the Leukemia & Lymphoma Society. At our annual Birthday Regatta and Leukemia Cup, Arizona Yacht Club has raised over $500,000 for LLS and the ad notes that Tony has been responsible for more than $100,000. Not by himself, he stresses, but with the help of all of us. 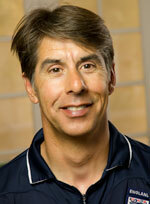 Raising money for LLS is very personal for Tony. Thirty-five years ago, his father died of acute myeloid leukemia and he’s made it his mission to help fight the disease. This year he’s raised just under $12,000, the number it takes to qualify for the annual “Fantasy Sail” with leukemia survivor and Leukemia Cup chairman Gary Jobson. Tony, Chris Robertson and Emory Heisler have all been on past Fantasy Sails that commemorate top fundraisers. Once again in January 2016, AYC will be presenting a first-in-the-nation Leukemia Cup and you’ll have an opportunity to pitch in to help LLS. Here’s the full-size ad as it will appear in the magazines.